In early Islamic history the Fatimids (909-1171) created the first alternative Muslim empire to fully challenge the orthodox Sunni Caliphate, which had become the faith’s mainstream, its Vatican equivalent, then based in Baghdad. Initiated by a Syrian imam who converted the Berber tribesmen of what is now Algeria, the Fatimids rolled eastward, founding Cairo where they established their capital. At the empire’s height, their sway ranged from western north Africa via Sicily to Yemen and the Levant. In the process they also created the Al-Azhar University, today the oldest such degree-giving institution in the world. Named after the Prophet’s daughter Fatima, the Fatimids embraced the lineage of the Shiite Ismaili faith from which the Aga Khan descends. This being the current Aga Khan’s Diamond Jubilee year as leader of Ismaili Muslims around the world, it seems apt that the Aga Khan Museum in Toronto should dedicate a spacious show to the Fatimids. By all accounts, the Fatimids ran a highly civilized, assiduously cultured and tolerant outfit: libraries and patronage of the arts flourished; Jews and Christians acted as chief vizier at various times; and the populace worshiped as it wished. The operative phrase here is “by all accounts,” because the Fatimid era came to a sudden end when Saladin conquered Egypt for the Sunni Caliphate. He then presided over a very deliberate expunging of the Fatimid legacy—dispersing its library and manuscripts, its court poets and scholars; converting its mosques; destroying its artifacts and literature. So the extant accounts of the dynasty tend to depend on other sources, often hostile, and few artifacts survive to paint a complete picture of Fatimid life. The show, gathered mostly from top-tier museums and private collections, is a rare offering and an archaeological detective story. And what an extraordinary revelation “The World of the Fatimids” proves to be. Upon entering, the visitor sees the three monotheistic religions juxtaposed: a glazed earthenware bowl depicting a Coptic priest; beyond it, a beautifully carved wooden Ismaili mihrab (Muslim prayer niche); and nearby the photo of a wooden synagogue door carving—all objects from Fatimid times. (The door is in a French museum, too fragile to travel.) Decorative motifs on both wood pieces indicate they likely came from a single workshop, ecumenical in its production. As the the show’s curator, Assadullah Souren Melikian-Chirvani, a renowned scholar of Islamic visual culture, explained in a press briefing, “as a small minority in their own territory the Fatimids chose to rule by consent and inclusion rather than mere power,” surrounded as they were by a preponderance of Copts, Jews, Armenians and Muslims of other sects. 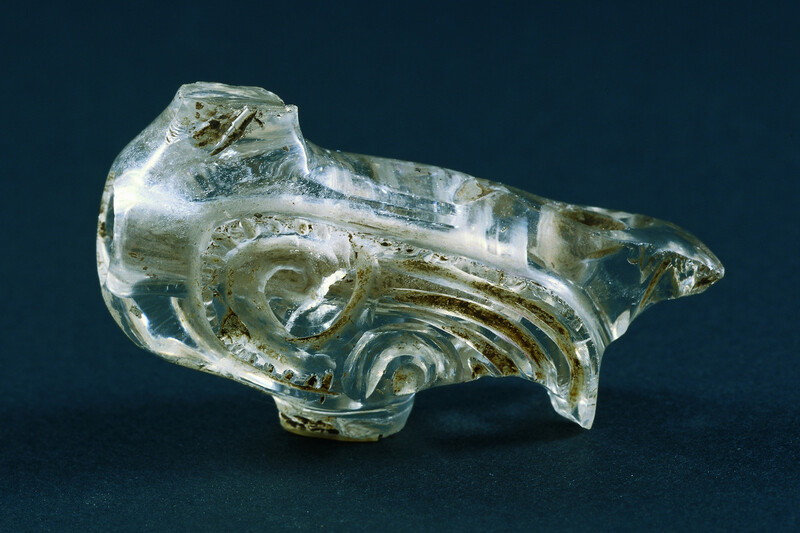 “Significantly, the Fatimids never referred to themselves as kings,” he added.